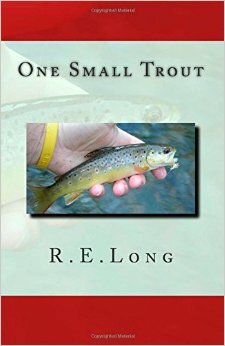 Our old friend Ralph Long has written another book on his adventures chasing trout around the country. Regular readers of the articles in FAOL are familiar with Ralph's writing and his great stories about trout fishing, fly tying and making memories. Ralph sent me the rough manuscript and I had the pleasure of reading it before it was published. It includes several fly tying patterns, complete with instructions and colored images of the finished flies. I find that Ralph's stories are not only entertaining to read but they each contain some helpful insight into how to solve problems that all of us encounter when fly fishing. Ralph's patterns are always well crafted and designed to catch fish and not fishermen. This book will make a nice addition to anyone's angling library. It will give you things to think about and some patterns to tie and try on your favorite trout stream. Pick up a copy today, enjoy some great reading and support one of our own.